While green beans are typically referred to as string beans, many varieties no longer actually feature the fibrous ‘string’ that runs down the length of the earlier varieties. Green beans are also commonly known as snap beans. 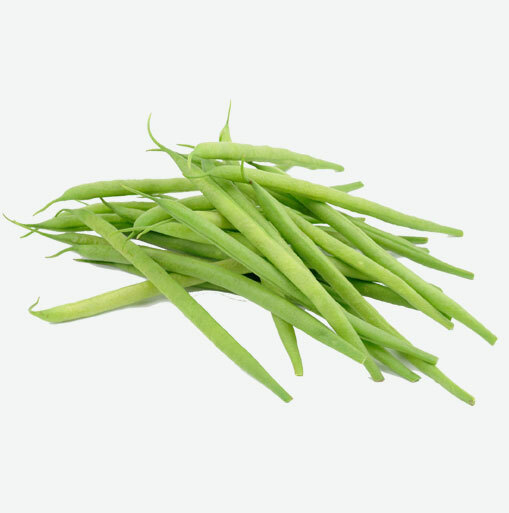 Haricots vert are French green beans that are very thin and very tender. Green beans are in the same family as shell beans, such as pinto beans, black beans and kidney beans. Yet unlike their cousins, green beans’ entire bean, pod and seed, can be eaten. These emerald green veggies range in size, but they usually average four inches in length. They contain tiny seeds within their thin pods. Eat as many green beans as you desire because they are helping you to bone up! These easy to prepare veggies provide vitamin K which is necessary to maintain strong bones. Vitamin K activates osteocalcin, the major non-collagen protein in bone. Osteocalcin helps to anchor calcium molecules inside of the bone. Therefore, without enough vitamin K1, osteocalcin levels are inadequate, and bone mineralization is impaired. Green beans can also help prevent colon cancer. The vitamin C and beta-carotene in green beans help to protect the colon cells from the damaging effects of free radicals. Green beans have folate and this mineral helps to prevent DNA damage and mutations in colon cells, even when they are exposed to cancer-causing chemicals. Studies show that people who eat foods high in vitamin C, beta-carotene, and/or folate are at a much lower risk of getting colon cancer than those who don’t. Green beans are versatile and easy to prepare. Steam them and serve them up with a vinaigrette dressing, stir them into soups, stews and casseroles. Green beans can be used as a side vegetable with any meal or they can be served as a salad. Rinse them well under water and discard the end that has been picked off of the stem. They make a great accompaniment to fish and are a colourful addition to any plate.